American car companies produced some of the most classic luxury muscle cars between 1964 and 1971. They were some of the craziest, wildest cars U.S. automotive history has ever seen. The combination of aggressive shapes, wild graphics, powerful engines and cool style made them legendary. People seek them out even today, 50 years after those innovative car companies introduced them to excited drivers. Even though the first muscle cars dated before 1964, the segment exploded after 1964. The major automotive manufacturers flooded the market with all kinds of muscle cars. 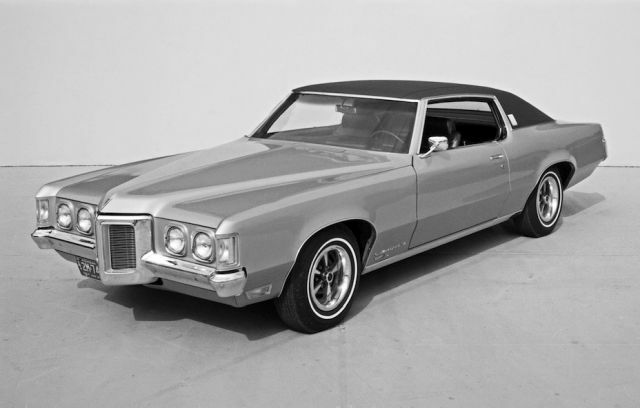 In just a few short years, Detroit produced numerous muscle models, from small, compact vehicles to large, quick cars. There was a muscle car for everybody, so car buyers could find affordable cars, as well as high priced classic luxury car models. Here is an eclectic list of the top classic luxury muscle cars. These vehicles combined upscale appointments and high-class style with brutal performance and speed. If you are a classic luxury car fan, buckle up and prepare for a ride through muscle car history. Even before muscle cars were a thing, Chrysler produced a series of high-performance coupes and convertibles. And they delivered unbelievable performance and unmistakable style. They called the model, “300,” followed by the letters of the alphabet. In fact, the C300 was the first model in 1955. Known as the “Letter Series,” those upscale cruisers were some of the fastest, most powerful models in the market. Chrysler produced them between 1955 and 1965 until they discontinued the series. They equipped the first models with early Hemi engines that could produce 300 HP; hence the name. The early Chrysler Letter Series models were the first American-made cars with 300 HP ratings. With the introduction of advanced intake setups and updated engines, power levels rose. And these big, heavy cars could achieve some impressive acceleration times. Interestingly, a classic luxury muscle car favorite is the 1958 Chrysler 300 D with the massive 392 CID Hemi engine and 380 HP. This glorious machine captivated the automobile public with its elegance and uncompromised performance. It even broke a few records on the Bonneville speed trials. Chrysler only made 618 coupes and 191 convertibles that year, making this model the perfect example of an early luxury muscle car.